Home > Build Websites > Premium Or Free WordPress Themes – Which Should You Choose? There are many decisions to make when starting a blog – decisions which can seriously affect how successful your blog will turn out to be. Apparently you have already made one great choice; you have selected WordPress as your platform. An equally important decision you have to make is the choice of theme you are going to use for your blog, and you have two basic options here. You can either go for a premium or a free WordPress theme. But before you decide which to use, you need to understand the pros and cons of using either, and I have highlighted the most important points in this post. 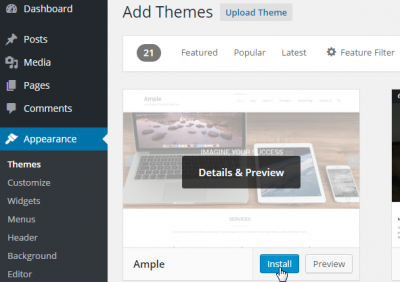 Premium themes are simply themes that you pay for. They are designed by people who have made a business out of selling themes, and because they have a reputation to protect and a business to run, premium themes are more professionally designed and offer more functionality. Premium themes may be sold by individual developers on marketplaces like Themeforest. However, if you decide to buy a premium theme, it is better to get it from an established theme provider such as MyThemeShop, StudioPress, and other reliable theme shops. 1. Premium themes are better designed and more cleanly coded, which means your blog will perform better and be easier to customize. 2. 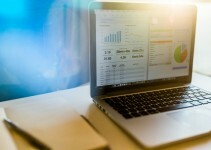 Your blog will be more search engine optimized because of the clean code design. Also, premium theme developers usually spend time tweaking their themes and adding SEO specific features so they are loved by search engines. 3. You will have an abundance of customization options with which you can make your site look, feel, and act the way you want, without delving into the theme code structure. 4. Your blog will be more secure, and less likely to get hacked as premium themes are built solid and updated regularly. 5. You get high quality, premium support from the theme developers. Many theme providers will take a look at your site and provide specific solutions for your needs. 6. Your site will be more unique because, unlike free themes which anyone can download and use, premium themes cost money, which means fewer people will opt for the theme on your site. 1. Premium themes cost money. Depending in the theme you choose, you may need to spend anywhere from 50 to 100 dollars. 2. Besides the initial purchase fee, you usually have to pay another fee to continue getting updates and premium support after your first year runs out. 3. Premium themes are loaded with so much functionality, much of which you may never need and may seriously increase the amount of code that needs to be processed before your site is displayed. Free WordPress themes are those you can download and use without paying a dime. They are provided under the GPL license, which means you are free to use, share, and modify them. Free themes are usually provided by theme developers who want to establish their credentials and build their portfolio. But many premium theme providers also offer free themes. 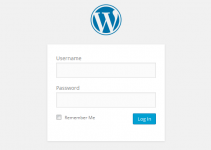 The theme repository at wordpress.org is probably the best place to get a free theme. Before themes are accepted there, they are reviewed according to certain quality guidelines so you can rest assured that you are getting a better theme. 1. It doesn’t cost a dime. You simply download and install anyone you want. 2. You get good community support as free themes are used by a lot of people, many of whom may have answers to questions you might have. 3. Free themes are great for people who are new to WordPress and are trying to wrap their heads around how WordPress themes work. In my early WordPress days, I installed and tested many free themes on my local server before I got a hang of the WordPress theme structure, and how it can be customized. 1. You do not have access to top quality support which means if you have a problem and cannot find a solution through search or forum discussions, you are on your own. 2. Free themes may not be properly coded and can contain bugs that may prove problematic. 3. Many free theme providers include malware such as phishing links and spam in their theme code. 4. Free themes do not get updated as frequently as premium themes, so you may be stuck with a bug for a long time. 5. Free themes offer less security and the risk of your blog getting hacked may be considerably higher. 6. Poor code structure, possible malware, and other issues could result in poor search engine optimization, and you may have to work harder to get your blog to rank in Google and other search engines. 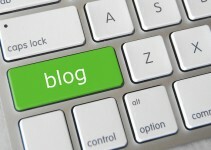 Well it depends on what you want to accomplish with your blog. If you are creating a professional blog with the aim of making a business out of it, or you already have an established business and want to blog about it, then by all means use a premium theme. It only makes sense to invest this token into the security, functionality, premium support, and better SEO that premium themes offer. If, on other hand, you simply want to start a blog to share your personal experience, travel stories, new recipes, and things like this, then you can use a free theme. The good thing is you are not stuck with the free theme you started with, so when your blog becomes popular, you can (and should) upgrade to a premium theme.